Columbus Wedding Videos is an award-winning videography company serving all of Central Ohio and surrounding areas. 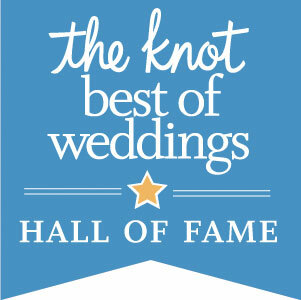 We are one of only four videographers in Central Ohio to be inducted into The Knot’s Hall of Fame. We specialize in cinematic wedding films as well as full-length, documentary-style wedding videos. Our experienced videographers have shot over three hundred weddings combined over the past ten years. Our style is unobtrusive. We strive to be a “fly on the wall” and to capture the honest, candid moments that truly tell the story of your day. From the pre-wedding jitters to the late-night dance floor celebration, we capture it all. We would love to capture your day for you and create a memory that will last a lifetime. Add on a one minute teaser highlight video to any package for just $200! Perfect for uploading to Instagram, Facebook and other social media! 5-8 minute highlight montage set to music that includes the best moments of the day. Give us a call or shoot us an email any time to discuss your upcoming event!